Published 29/01/2015 at 5184 × 3073 in Catching up…. 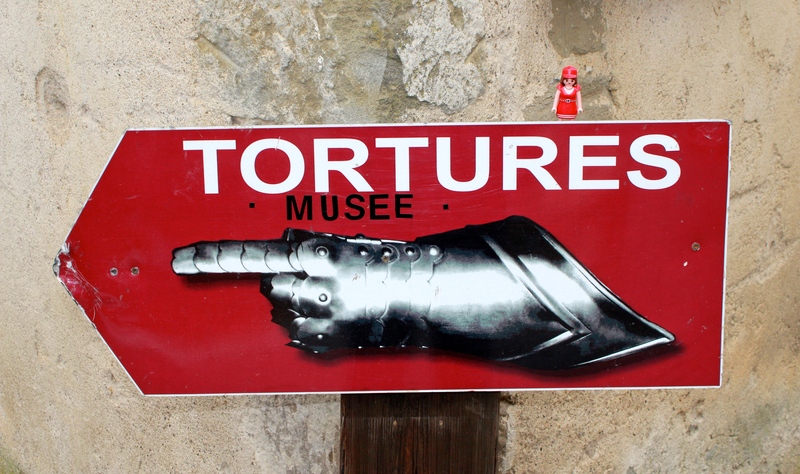 After a very heated argument with Mr Playmo on the beach, Mrs P insisted that she wanted to visit the torture chamber museum in Carcassonne to get a few ideas. I told her that her cooking was ample punishment for her husband.